I get upset when people ask for something and are not willing to pay for it. It happens all the time in the world of blogging. A publication needs content but doesn’t want to pay for it, so they put a call out to the world and people respond who are looking for an outlet for their work. Bloggers want recognition and what better way than to use someone else’s platform that many already have many followers. Recently I found a post from the folks at the flying winemaker saying that they are looking to start up a wine publication and were looking for writers. Turns out they are looking for free content and even want writers to give up the rights to their work. This is their pitch to get you to write for them. I am not sure who to blame for this situation, the writer or the publication. Both benefit in some way. The writer may reach an audience that they may not otherwise reach. The publication gets content. Win win. But there are so many problems with this. Often the bloggers seeking attention want an outlet and may not be the best writers or have little knowledge on the topic. They are simply looking for a quick way to gain recognition and some publications know and prey on this. Such publications ask for free services in order for promote their brand on the back of other peoples hard work and passion. It always amazing me how such publications think they can retain quality writers without paying for them. This in turn diminimshes the publication’s credibility and every other blogger or writer who is in the publication. Many writers many be extremely credible and leaders in their field, however in an attempt to build a brand, publications find content from writers that may not be suitable. I am not saying that I should get paid for every publication that I have ever written for. Nor am I saying that I will want to get paid for every publication I might get published in. There are many where it looks good to be published in. Decanter, World of Fine Wine, Jancis Robinson’s Purple Pages. Such publications have writers who have spent years writing and have so much more knowledge than I may ever have. I would write for any of these publication if they would have me. People give it away for free all the time. Don’t do it. Work hard. Never stop. Many countries have some sort of dividing line. Some are east and west, other are north and south. The difference between the two are usually things like culture, dialect, traditions or attitudes. In Germany’s wine growing regions, there are some unique differences too. 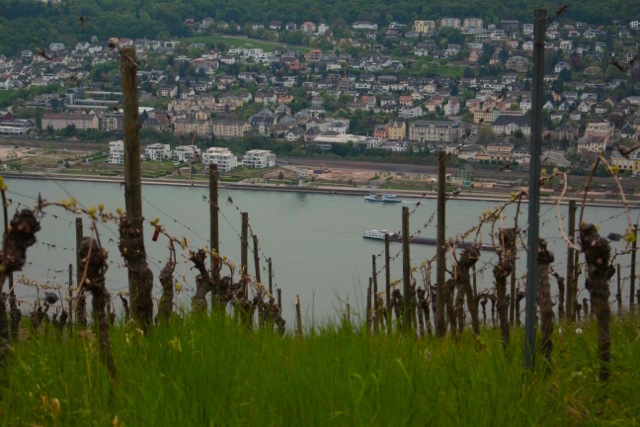 In the north, places like Mosel and the Rhine, the wines tend to be Riesling-based and for good reason. They have been making wines there for thousands of years. But in places like Baden in the far south, Riesling does get a role but it’s a minor one. Instead many young winemakers are turning away from family traditions and are growing burgundy grapes such as Pinot Gris or Grauburdunger, Pinot Blanc or Weissburguner and Pinot Noir or Spätburgunder. Since 2000 there has been a 103% increase of Pinot Gris planting in Germany, making it second after Italy for Pinot Gris plantings with most of that grown in the southern region of Baden. Grauburgunder is such an important grape that there is a symposium each year in May in the Kaiserstuhl region near Baden. German Pinot Gris wines are often big and full throttled are due to the soil in the area. Much of it volcanic mixed with high amounts of calcium carbonate. In fact there is only one other place where you can find volcanic rocks mixed with calcium carbonate and that is Costa Rica. The Grauburgunders grown on such soil in Baden produce wines that are rich, often full bodied with layers of texture and fruit. Let’s hope that some day soon, the world will look beyond the light and easy drinking Pinot Grigio’s of Italy and take the grape and wines a little more seriously. Another Burgundy grape that is making some great wines in Germany is Pinot Blanc. For some reason the wine drinking public has not taking a liking to Pinot Blanc or Weisburgunder like they have with Pinot Gris. However Since 2000 there has been an 84% increase in Weisburgunder plantings and Germany is now the largest grower of Pinot Blanc in the world. It is winter hardy and can produce wines that are bright and fresh without the rich, often overpowering fattiness of Pinot Gris. Although there is a trend in Germany to picking them overripe and leaving them (I think) too long in barrel, there are also many great expressions of this grape to be found. Pinot Noir, or Spätburgunder is the most grown grape variety in Baden. With over five thousand hectares under vine it represents about 35% of the regions total vineyard plantings. The region’s warm climate and volcanic soils make this a suitable place for growing the often fickle grape variety. The wines produced are often as varied as what you might find in Burgundy. They can range from light, almost pale in colour, to fatter wines with finesse and complexity. Of course there are examples of Pinot Noir grown in other regions such as Ahr, Mosel, Rheingau and Pfalz, making Germany the third largest producer of Pinot Noir after France and the USA. Since 2000 there has been a 27% increase in plantings and many point to global warming as the reason why Pinot Noir can fully ripen each year. The differences between the 13 different regions of Germany and the differences within each region are endless fascinating. It is exciting to see a county that has a land mass three times smaller than Ontario, have such a diversity of growing regions within it. The time is now to see Germany for wines other than Riesling. Originally published here in Good Food Revolution. Germany is the land of Riesling. With over 23,000 hectares of it growing Germany is the worlds largest producer of it. There is no doubt about the relationship between Germany and Riesling. But there is another grape that needs some attention too. One that is a bit of a hidden gem but has long history in and around Germany. One that takes well to the cool climates of Franconia (or Franken in German), where it is most commonly found and one that hipsters are taking a little more seriously. That grape is Silvaner. Although you may know it as Sylvaner in Alsace France. There it is considered a “noble grape” and grows almost exclusively in the region. The grape has a history in Germany. At one time Silvaner was the one of the most planted grapes grown there. Now, with just over 5000 hectares, it has fallen far behind behind Riesling, Muller Thurgau and Grauburgunder! In 2009, Silvaner celebrated its 350th birthday, but according to Jancis, Julia and José’s book, Wine Grapes, Silvaner is likely from Austria, and it has been suggested that the grape is a result of a spontaneous crossing that took place over 500 years ago. Its name suggest that it is in fact from Austria and is related to the Pinot family. With Silva latin for wood, some believe that the vine was selected from the wild vines on the banks of the Danube river. And when well made Silvaner has a tension that is appealing. Often floral and minerally, translating the vineyard with clarity and grace. Of course there are other regions that grow Silvaner in Germany but Franciona is the most renowned for it. So think outside the bottle and try something different from Germany this weekend. For some wine drinkers, German wines represent sweet wines. 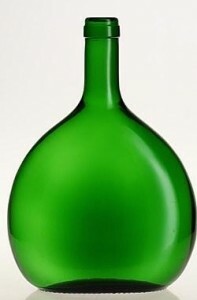 Bring out a tall flute bottle and most people turn the glass around and tell me they don’t like sweet wines. “I’d prefer a California Chardonnay,” they say. However, in my opinion, Germany produces some of the finest wines in the world. There was a time that the wines from the Rhine, Germany’s largest growing region, were on par with the classed growth wines of Bordeaux. But things like prohibition, sandwiched between two world wars, really put a hold on wine production. And Germany’s major export market, the USA, dried up. The grape growers needed to make money so they started producing cheap sweet wines, so the world began to know Germany for Liebfraumilch. Wines like Blue Nun and Black Tower were what was on store shelves and the reputation for this style of wines were made. But there has been a change happening over the last 15 years in Germany. The level of winemaking and the commitment to quality has increased. 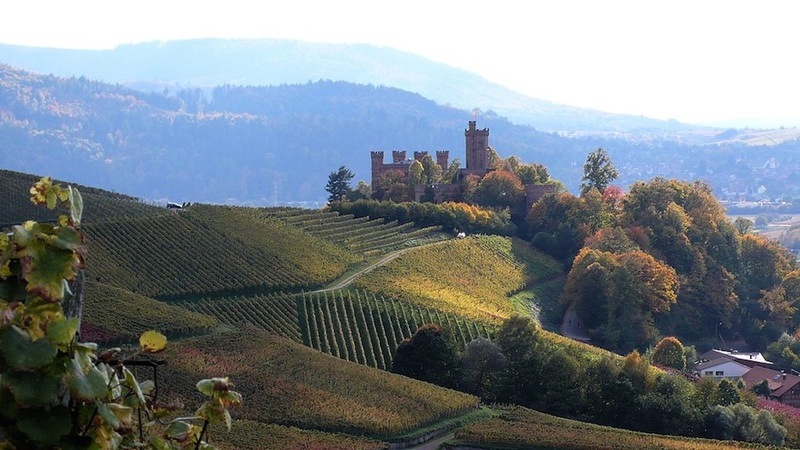 And with Geisenheim, one of the leading universities for winemaking and grape growing, innovation in the vineyard and in the cellars has helped to bring German wines to the forefront. Add to that the general resolve for dryer wines around the world, Germany is once again being seen as a leading producer of fine wines. There are 13 regions with and a total of 102,439 hectares (about 255,000 acres) of land under vine in Germany. Most of the vineyards are in the south-west corner of the country with Sachsen and Saale-Unstrut further north and east. All wine regions rely on rivers. This is due to being able to move wine on boats during the middle ages. With Rheinhessen being largest area with 26,523 ha of grapes growing and Hessische Bergstrasse the smallest is with 436 hectares under vine, Germany’s regions and vineyards are a both unique and distinctive. Every wine lover has Riesling coursing through their veins and Germany is like a homecoming for most. With over 23,000 hectares of Riesling being grown Germany, it grows more Riesling than any other country. USA is the number two Riesling grower in the world, but it grows less than 5,000 hectares. It is not just Riesling grown in Germany. Müller-Thurgau and Pinot Gris, locally know as Grauburgunder, round out the top three white grapes grown in Germany. Though over the last 15 years, Müller-Thurgau is slowing being replaced with other grapes like Pinot Blanc, locally know as Weißburgunder. Another grape that has seen increased plantings is Chardonnay. There has been a 175% increase of in the last 15 years, reflecting international tastes. German wine is ready for the renaissance it deserves. Young German winemakers are challenging their parents’ ways and are open to suggestions science is making in their own back yard. They are making great wines that show a unique sense of place. If you want to taste first hand what is happening in Germany, there will be no better place to be on Thursday, May 21 than the Next Generation Germany Tasting Event. Every taster will be hard pressed not to find something worth trying and talking about!